For those planning to visit the village, the following is a very brief description of Knowle and the facilities you can find here. Knowle lies on the A4141 (formerly the A41), about a mile south of Junction 5 on the M42. It is three miles south of Solihull, 13 miles south of Birmingham, 10 miles north of Warwick and about 10 miles from Coventry. The nearest stations are Dorridge (1½ miles) and Solihull (3 miles), both on the Chiltern line between Birmingham and London. Most of the London trains stop at both places. Knowle is about 5 miles from Birmingham International Station. There are bus services (half hourly approx.) from both Dorridge and Solihull. There are free car parks (some with a two or three hour limit) behind each side of High Street. 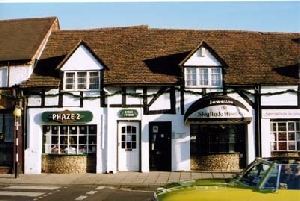 Along High Street you will find good shops, many of them small independent businesses which Knowle is lucky to have. For those wanting sustenance there are also a number of inns, cafés, other eating places and shops selling sandwiches and take-away food. Behind the north end of High Street there is a small precinct with a good supermarket and other shops. 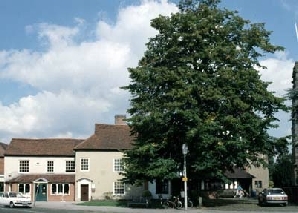 The main inns are The Red Lion in The Square, The Wilson Arms at the Solihull end and The Greswolde in High Street. All offer food and The Greswolde is an hotel offering good accommodation. To the west of the village is an attractive park, which won a Green Flag award in 2007. 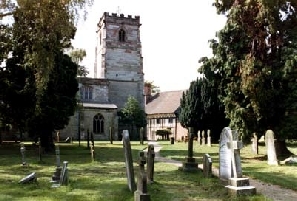 In the village square are Knowle’s early 15th century church and Guild House. Leading from The Square is Kenilworth Road, the oldest part of the village, where Knowle's most attractive timber-framed cottages can still be found. Kixley Lane, off Kenilworth Road, is a picturesque ancient lane going back to the 13th century, which leads to the Grand Union Canal. High Street, although much altered through development since the 1960s, still has many attractive properties. Occupying a prominent position is Chester House Library, parts of which date from about 1400. It is a timbered former farmhouse with two gables, beautifully restored and converted into the public library in 1975. At the rear is an authentically designed Elizabethan knot garden. Access is through the rear courtyard. Cloakroom facilities, including those for the disabled, are available for visitors (ask at the reception desk). 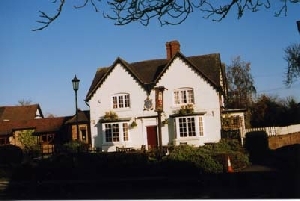 More historic properties can be found at the Solihull end of the village.